BERLIN -- Daimler AG failed to keep pace with competitors in the second quarter, projecting slower sales growth than BMW AG and posting truck profits that trailed Volvo AB. The maker of Mercedes-Benz vehicles raised its 2011 sales target by 50,000 cars, lower than BMW's increase of 100,000 vehicles. Profit margins for the company's trucks unit lagged behind Volvo, the world's second- biggest truckmaker after Daimler, by 3.1 percentage points. Daimler is building a factory in Hungary and expanding plants in China and the U.S. after being overtaken by Audi as the second-largest luxury-car maker this year. Mercedes has struggled to produce enough vehicles to match growth by BMW and Audi. More capacity would have helped Mercedes boost sales, CEO Dieter Zetsche told reporters on Wednesday. "Right now, the delta to Daimler's peers is widening," said Arndt Ellinghorst, a Credit Suisse analyst in London. "They have to make sure that changes. That's why the stock is underperforming." BMW this month increased its 2011 sales forecast to 1.6 million vehicles from 1.5 million, exceeding Mercedes's 2015 target. Daimler said on Wednesday that deliveries will probably surpass 1.35 million, compared with an earlier forecast of 1.3 million. Daimler trucks had a second-quarter operating margin of 7.1 percent compared with Volvo's 10.2 percent. Daimler's second-quarter earnings before interest and taxes rose 23 percent to 2.58 billion euros. Net income jumped 30 percent to a record 1.7 billion euros as sales gained 5 percent to 26.3 billion euros. "The very good earnings trend is primarily a reflection of increased vehicle shipments by nearly all divisions," Zetsche said. "We now assume that group Ebit will develop more positively than we previously expected and will very significantly exceed" last year's 7.2 billion euros. BMW, the world's No. 1 maker of luxury cars, on July 12 projected automotive earnings before interest and taxes of more than 10 percent of revenue in 2011. Daimler's Mercedes car unit had a second-quarter profit margin of a record 10.7 percent, boosted by higher sales of sport-utility vehicles. BMW, which reports second-quarter figures on August 2, posted a first- quarter return on sales of 11.9 percent. "BMW will be materially better than Mercedes," said Ellinghorst. 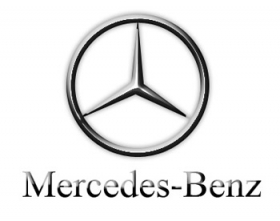 Mercedes-Benz brand deliveries in the first-half advanced 9.7 percent to a 611,000 autos. BMW brand sales rose 18 percent to 690,000 autos, while Audi advanced 18 percent to 653,000. Mercedes, BMW, and Audi are struggling to meet surging demand for German luxury cars, spurred by China's growing economy and rebounding U.S. spending. Daimler's Zetsche said factories this summer and winter will likely suspend normal breaks to meet demand. Daimler said July 21 that it will spend more than $2 billion to boost capacity at Mercedes-Benz's U.S. plant in Tuscaloosa, Alabama, where M-, R- and GL-Class SUVs are made. A revamped M Class will hit showrooms in September, followed by a new version of the B Class in November, the first of four small cars being introduced to help trim average emissions and attract younger drivers. Daimler reported second-quarter operating profit at the trucks unit of 474 million euros. Volvo posted Ebit of 5.11 billion kronor ($820 million) in the quarter. For the first half overall, Daimler's truck margin was 6.9 percent compared with Volvo's 9.8 percent. The German company, whose Fuso truck brand in Japan was impacted by the country's earthquake this year, is working to close the gap with Volvo, backed by a new version of its Actros long-haul truck and a line of heavy-duty engines, Andreas Renschler, head of Daimler's trucks unit, said. Daimler extended the contract of Wilfried Porth, the management board member in charge of personnel, by five years through April 2017.